U.S. Capitol Building as seen from just left of center. WASHINGTON – House and Senate negotiators reached a deal to avoid a government shutdown Thursday that would spare them a nasty fight before November's midterm elections. The deal includes both a long-term funding package for the departments of Defense, and Labor, Health and Human Services and Education for fiscal 2019 along with a short-term measure that would keep remaining agencies funded through Dec. 7 while negotiations continue. "This will avoid the threat of any shutdown, and allow for time for work on the remaining funding bills to be completed," House Appropriations Chairman Rodney Frelinghuysen, R-N.J., said in a statement. The legislation would still have to be passed by the House and Senate, then be signed into law by the president. The federal government runs out of money Sept. 30. President Donald Trump has threatened to shut down the federal government over funding for his border wall, but Republican leaders have said they don't expect him to go through with it. The $674.4 billion Defense and $178.1 billion Labor-HHS bills account for the "lion's share of discretionary spending," said Senate Appropriations Committee Chairman Richard Shelby, R-Ala.
“Not only will this package boost funding for medical research and the opioid epidemic, but it will increase dollars for America’s military and provide our troops with the largest pay raise in nearly a decade," Shelby said. 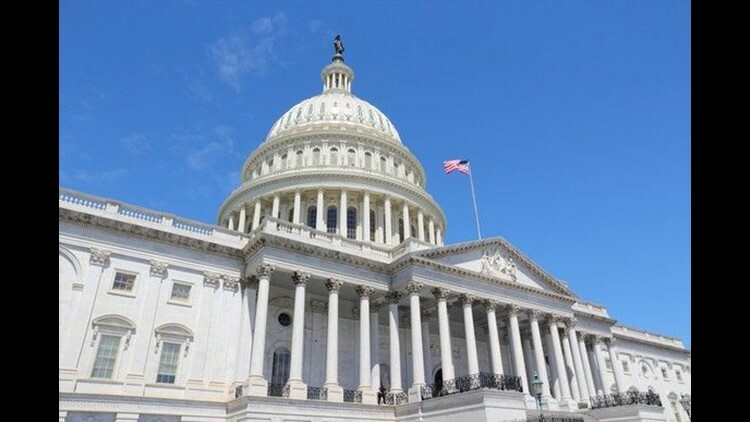 Earlier Thursday, the House overwhelmingly passed a package of spending bills 377-20 to fund the legislative branch, energy and water development and military construction and Veterans Affairs for fiscal 2019. The bill now goes to Trump for his signature, and White House Press Secretary Sarah Huckabee Sanders announced on Wednesday that he would sign it.